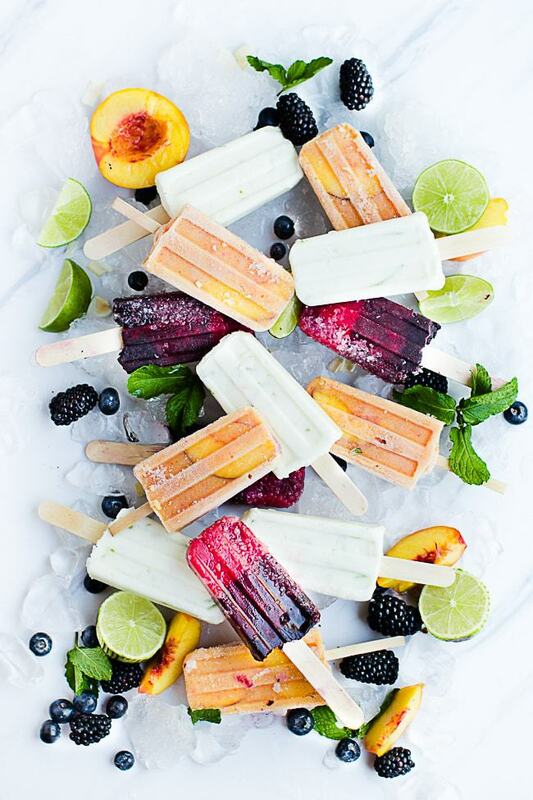 Who needs a healthy, cool treat to this freakin’ hot summer heat!? It’s sooo hot we’re either stuck inside or in the water. 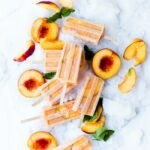 Peaches are so sweet and in season right now so were making these peaches and cream smoothie popsicles non-stop to help us keep cool. I’m a mom of 4 and always looking for a healthy, delicious cool treat- especially one that is not loaded up with sugar! This recipe is perfectly sweet without the sugar. Let me tell you how. You want to have the ultimate sweet peach. When choosing the peach make sure the flesh is tender to the touch, not mushy, but soft and ripe. 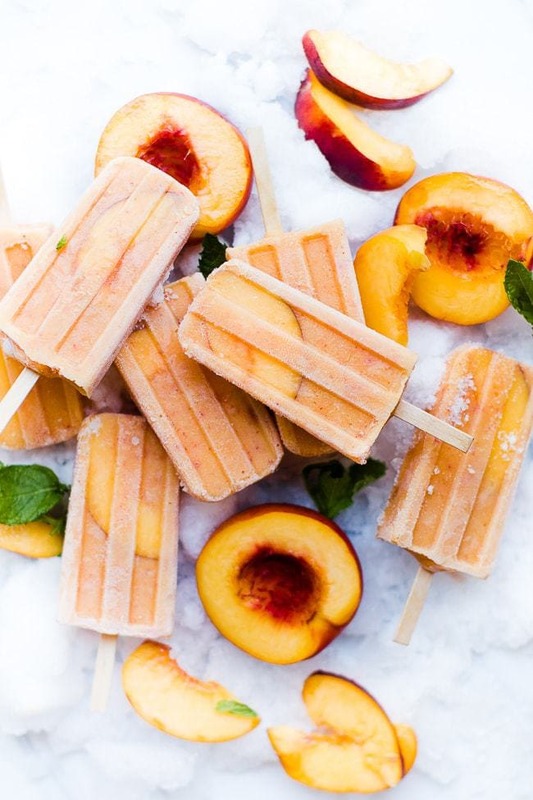 If peaches are out of season you can use canned or frozen peaches in place of fresh peaches. They sometimes will be over sweet (peaches canned in syrup) or not sweet enough (frozen peaches) so make sure to adjust the amount of honey you add to the blender. This smoothie recipe is only 3 ingredients! Place all in a blender and blend! 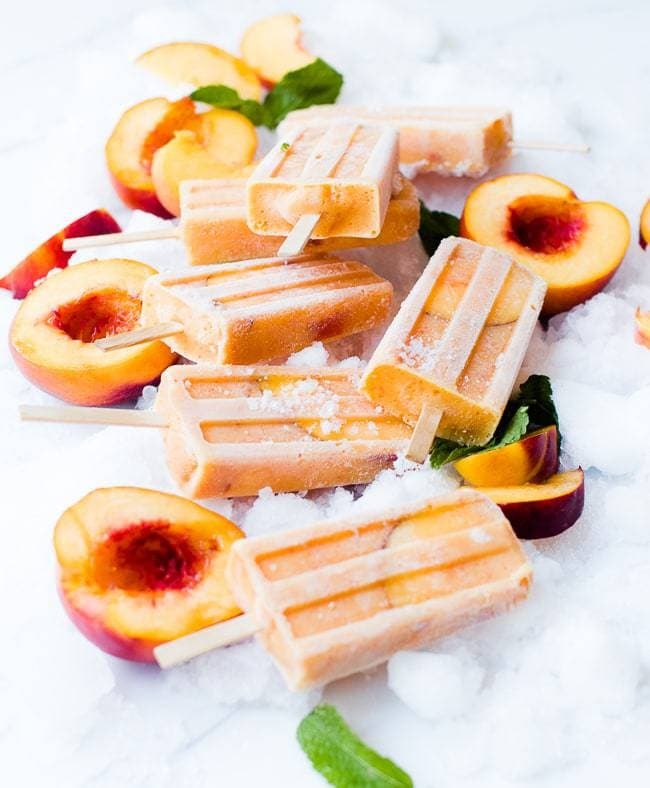 For an added surprise you can add a few peach slices into the popsicle mold. My kids love having the added fresh fruit texture. How do you know how much smoothie liquid to add? When you make these popsicles please come back and tell us how you liked them!! We love hearing from our readers. In a blender blend ingredients until smooth. 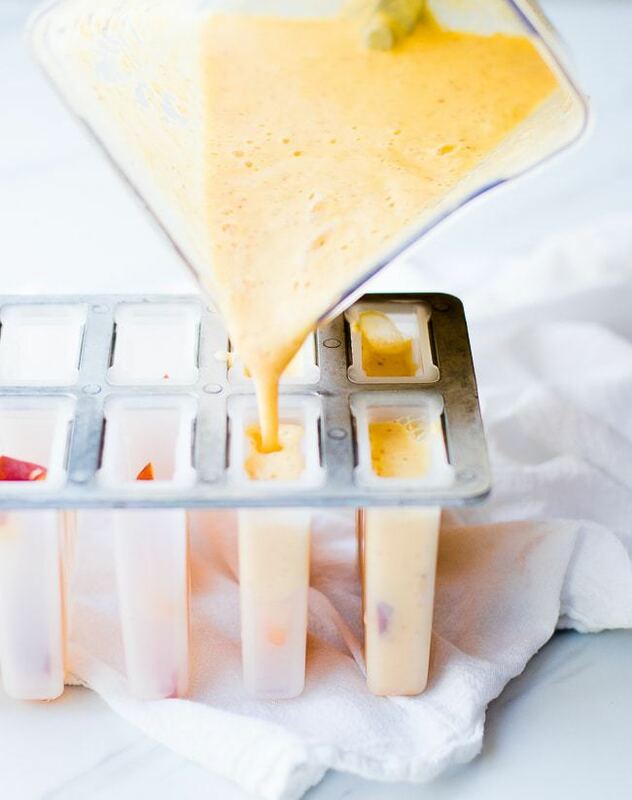 Pour into popsicle molds and freeze! 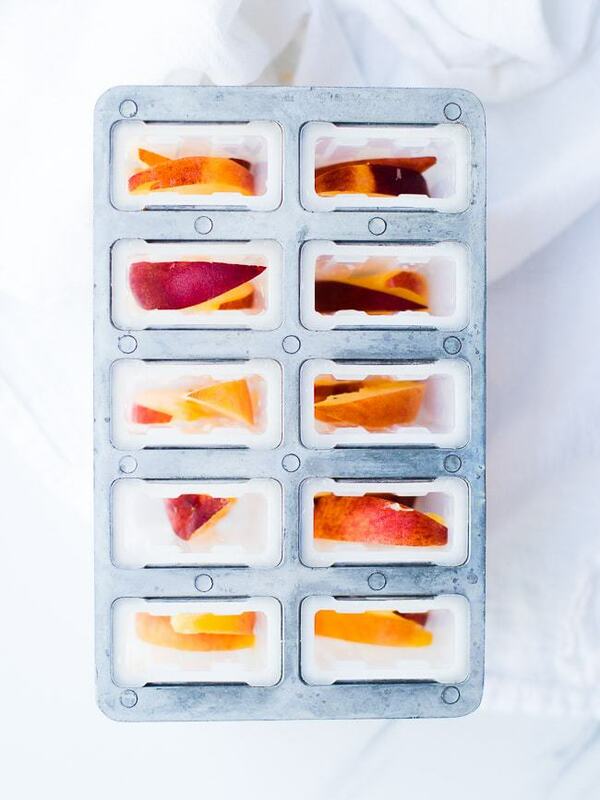 optional: add sliced thin peaches into the popsicle molds before pouring in the smoothie liquid. These are so good! My kids could not stop eating them. We even had neighborhood friends over and they were gone in minutes. made these yesterday!! thank you for the inspiration!